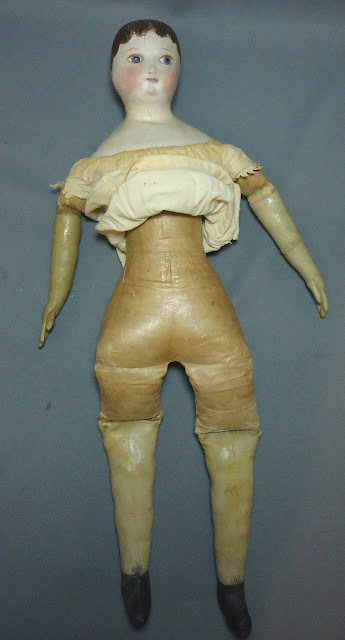 Usually I do not talk about "Izannah Walker type" dolls here, because often they are not in any way comparable. 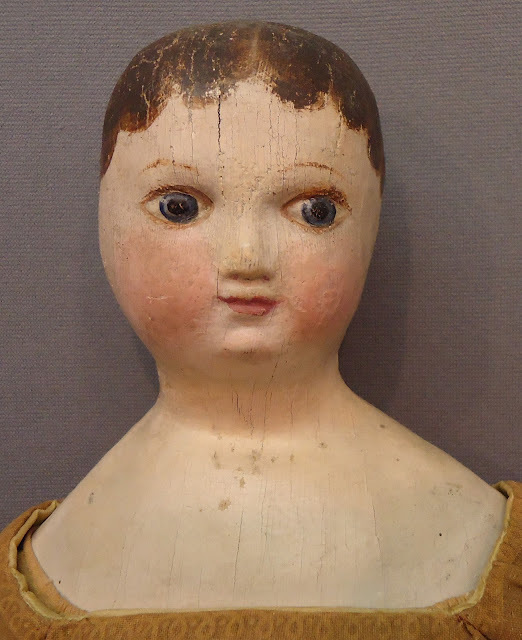 That's not the case with this doll. 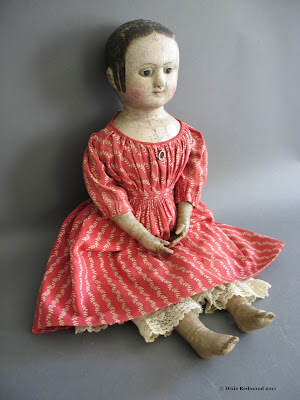 There are so many aspects of the Izannah "type" doll that are similar to antique Izannah Walker dolls, that this doll is worth sharing pictures of here. On the back of the shoulderplate is written "patent applied for". 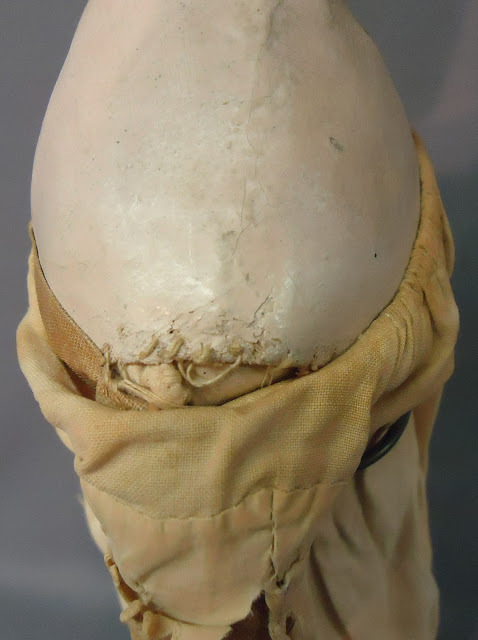 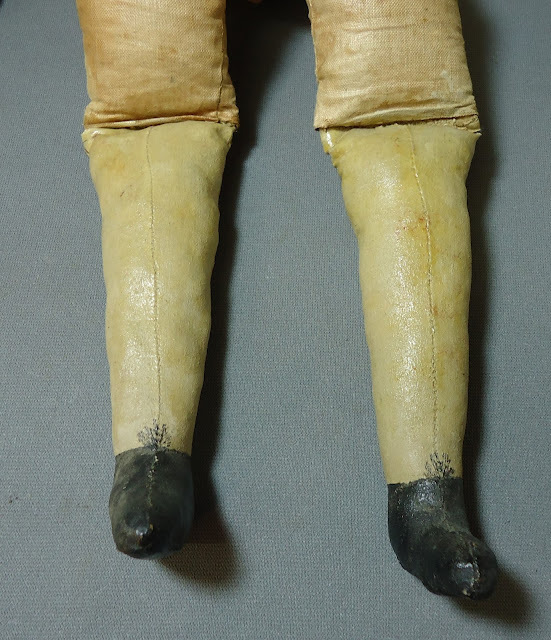 Is this a transitional doll from early Izannahs to the later post patent dolls. 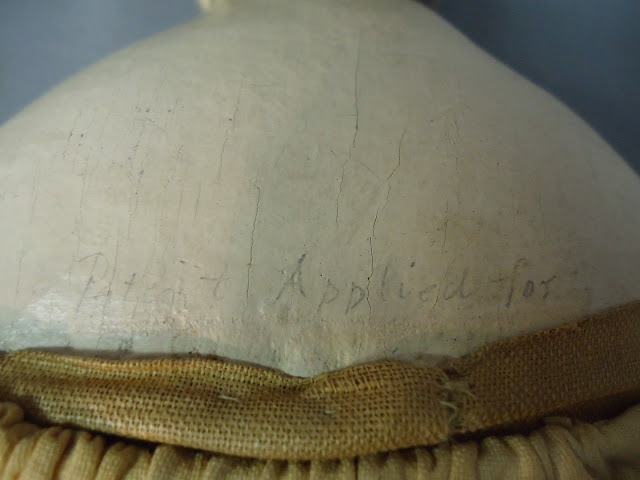 The pencil writing could have been added at any time - from the time she was created to a recent collector's note. 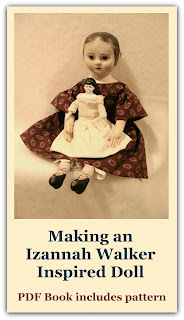 You can see pictures of the other doll to be auctioned, which is an Izannah Walker doll, here. 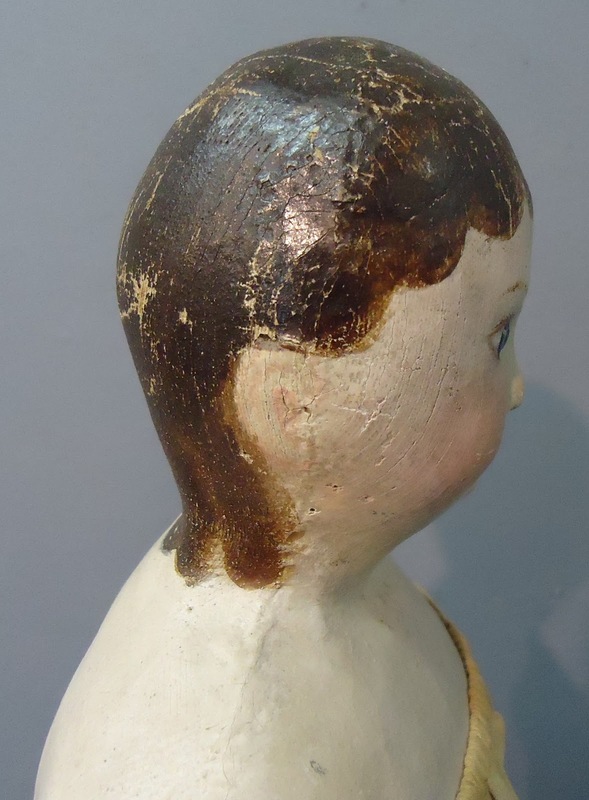 But I really know so little about some of the early ones, and some of them that really ARE IW dolls don't look like the rest of them...sooooo who knows? Thanks for posting the pictures. 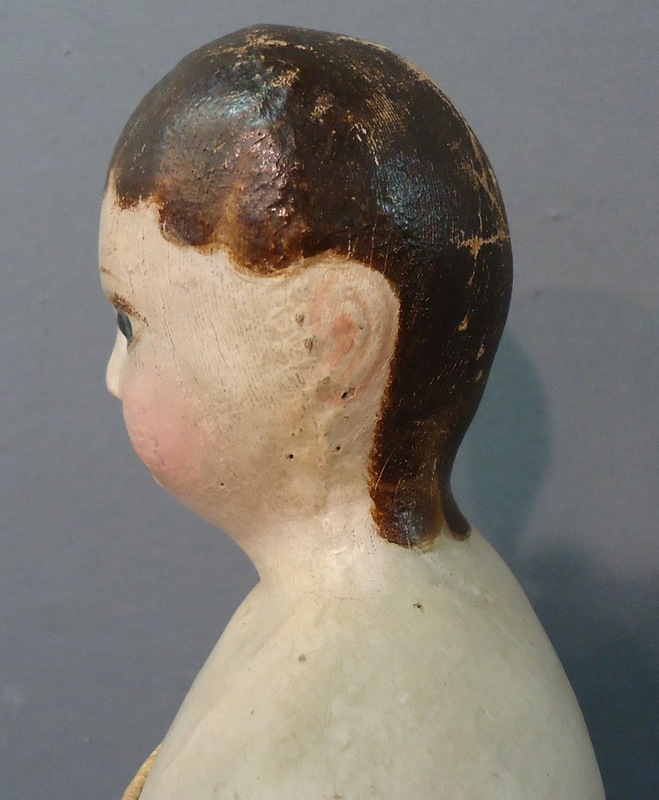 The lack of side lockets made me curious wondering if this doll was reflecting the later hairstyle of the mid- 1860s. 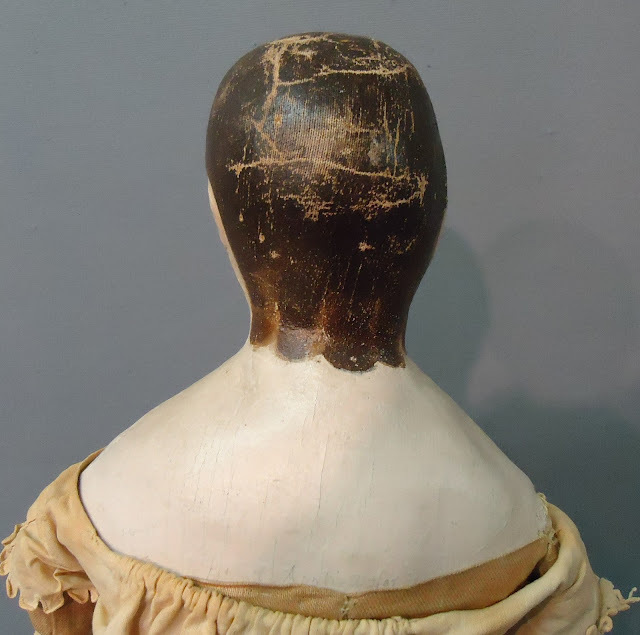 And the penciling on the back of the shoulder plate "patent applied for" made inquire with the National Archives for other documents filed for her patent. 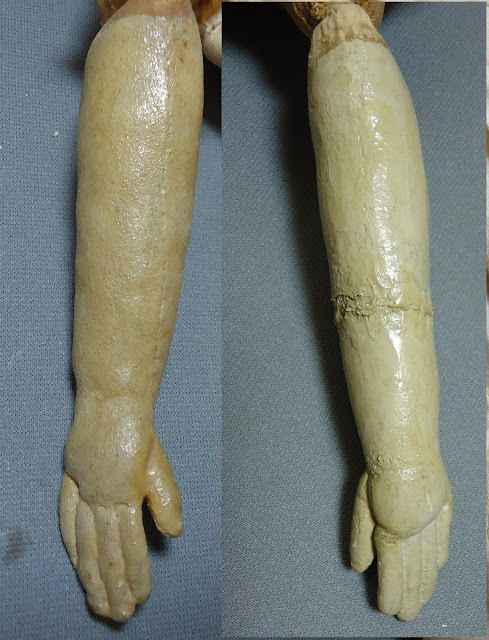 Next week, I should have the 14 pages & will forward the pdf to you.